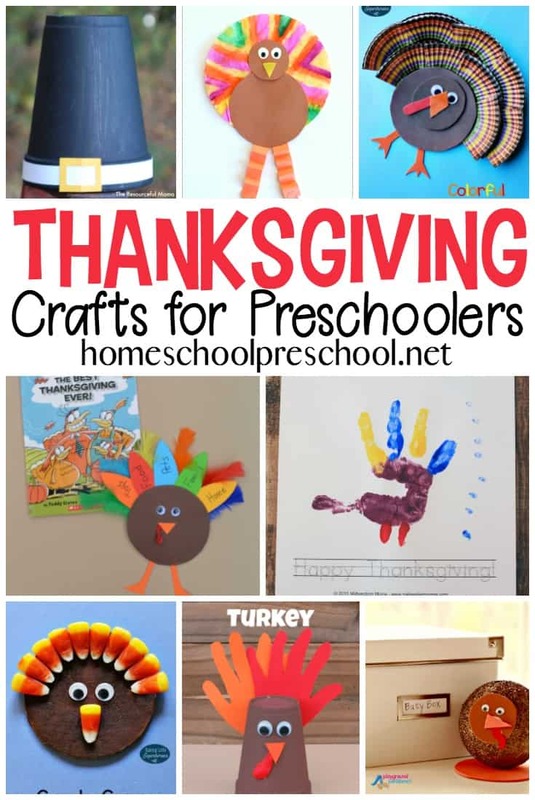 The best preschool Thanksgiving crafts! 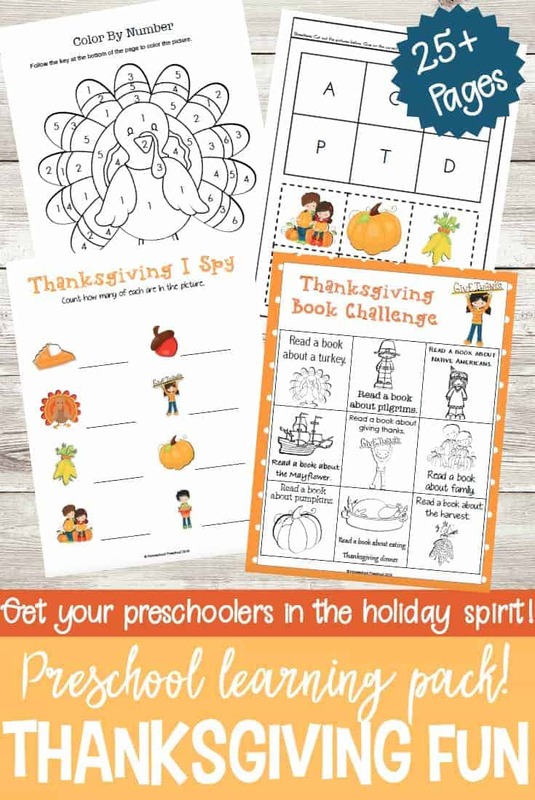 We’ve found some great activities that your preschooler can do to get into the Thanksgiving mood! Are you ready to get busy with your little turkeys? 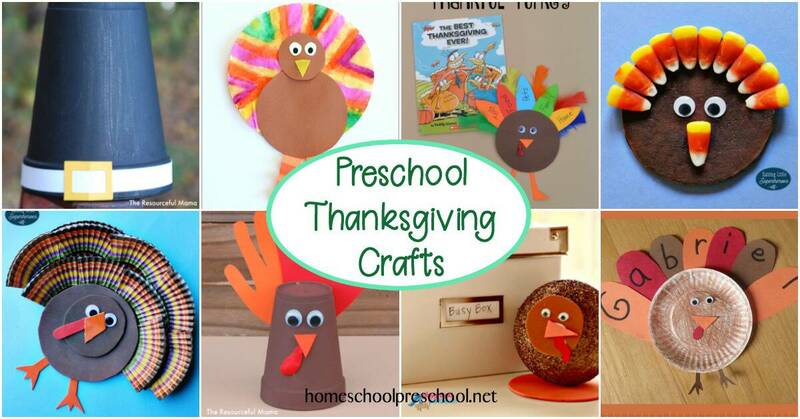 Here’s an amazing list of Thanksgiving crafts your preschoolers are sure to enjoy. Hang them on the fridge. Use them as table decorations. Send them to grandparents. Most importantly, have fun and make memories! Thanksgiving Popsicle Stick Puzzles | Learn how to make Thanksgiving puzzles out of popsicle sticks! These are easy popsicle stick puzzles for you to make for the kids. Paper Plate Pilgrims | This paper plate pilgrim craft is a great Thanksgiving craft for kids and a fun way to teach them about Pilgrims and the first Thanksgiving. Easy Homemade Pumpkin Spice Playdough | This pumpkin spice playdough smells heavenly, and it will keep your littles busy while you cook Thanksgiving dinner. Thanksgiving Necklaces | This easy Thanksgiving necklace for kids involves simple counting so you can sneak in a little math during your craft time. Kid-Made Thanksgiving Placemats |These kid-made Thanksgiving placemats are quite simple to make yet look adorable! Handprint Turkey Craft for Preschoolers | Kids will enjoy painting or drawing a handprint turkey. You’ll enjoy having a keepsake that you can reminisce with year after year. 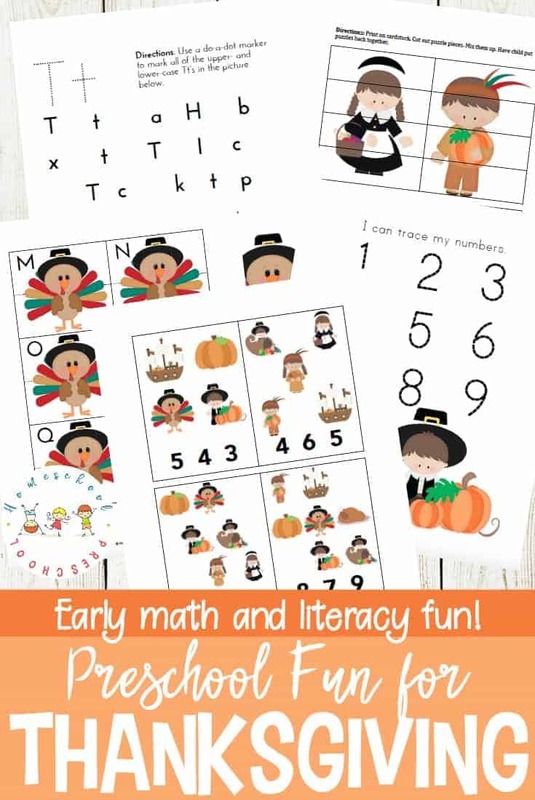 Thanksgiving Busy Box: Pin the Tail on the Turkey | This fun busy box will help preschoolers get in the holiday spirit while they work on their fine motor skills. Paint Chip Turkey Kid Craft | Brightly colored paint chips make perfect feathers for this paper plate turkey craft. Shape Turkey | Review shapes with your preschooler as you work together to create a shape turkey. Use the FREE shape turkey printable as your base. Fine Motor Turkey Craft for Thanksgiving | This fun golf tee turkey will make a cute centerpiece for your Thanksgiving table. Cute Cardboard Tube Turkey |Use colorful feathers and a leftover cardboard tube to create this festive turkey. Feather Letter Turkey: A Fun “Learning Your Name” Activity |This Thanksgiving craft provides preschoolers an opportunity to practice spelling their name with a fun seasonal twist. Hand and Footprint Turkey | By using each of your kids’ hands and feet, they’ll be able to make completely unique handprint turkey crafts. Pumpkin Pie Kids Craft | Even if your little ones don’t love eating pumpkin pie, they’ll love creating one with this craft. Turkey Color Matching Craft | This cute and colorful kids craft incorporates color matching and crafting at the same time! Coffee Filter Turkey Craft | A little paint and some glue, your kiddos can make some easy coffee filter turkey crafts. Colorful Cupcake Liner Turkey | If you could find the same style of colorful cupcake liners, they’d make the perfect turkey craft for your preschoolers. Felt Turkey Pattern Play | Kids can practice making patterns with this fun felt turkey activity. 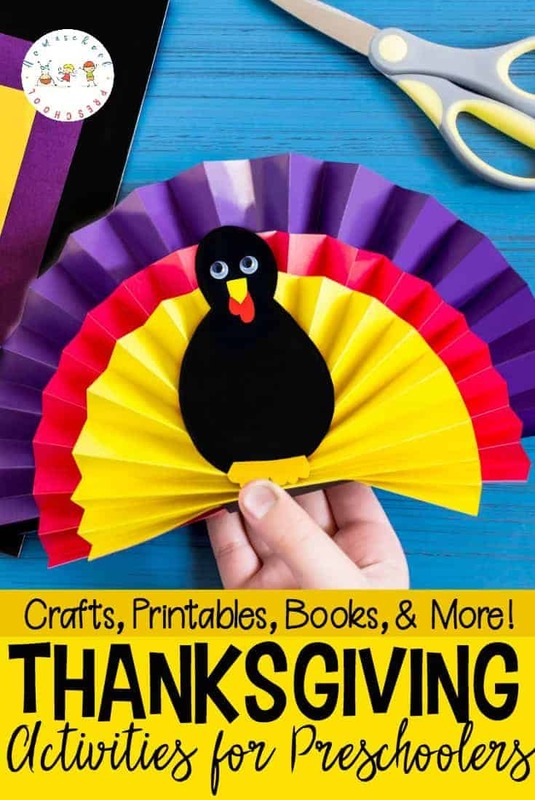 Thankful Turkey Kid Craft and Book | I always love incorporating a good book into my preschool activities. This thankful turkey craft goes perfectly with The Best Thanksgiving Ever! Dish Brush Turkey Craft for Thanksgiving | Kids are going to get a kick out of painting their very own turkey with a dish scrubber. Thanksgiving Chocolate Pilgrim Hats | Cookies and peanut butter cups are the base for these easy-to-make, festive Chocolate Pilgrim Hats. Candy Corn Turkey Craft | Will your preschoolers be able to decorate their turkeys before they eat all of their candy corn? Cardboard Tube Turkey Craft | This craft makes a great napkin ring for your Thanksgiving dinner table. Turkey Time Invitation to Create | With a handful of supplies on hand, this invitation to create makes a great open-ended craftivity your kids will enjoy. A Colorful Thankful Turkey | Here is another fun thankful turkey kids can make from paint chips.